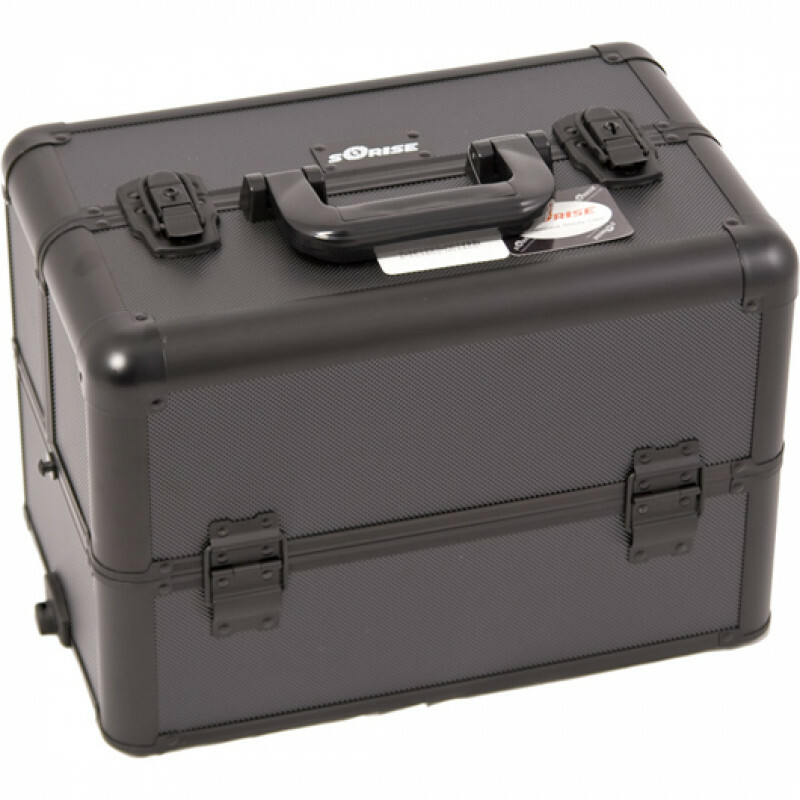 The E3306 Sunrise All Black Dot Pro Multi-Tray Makeup Case feaures 4 main compartments, each with a base and two extending trays. 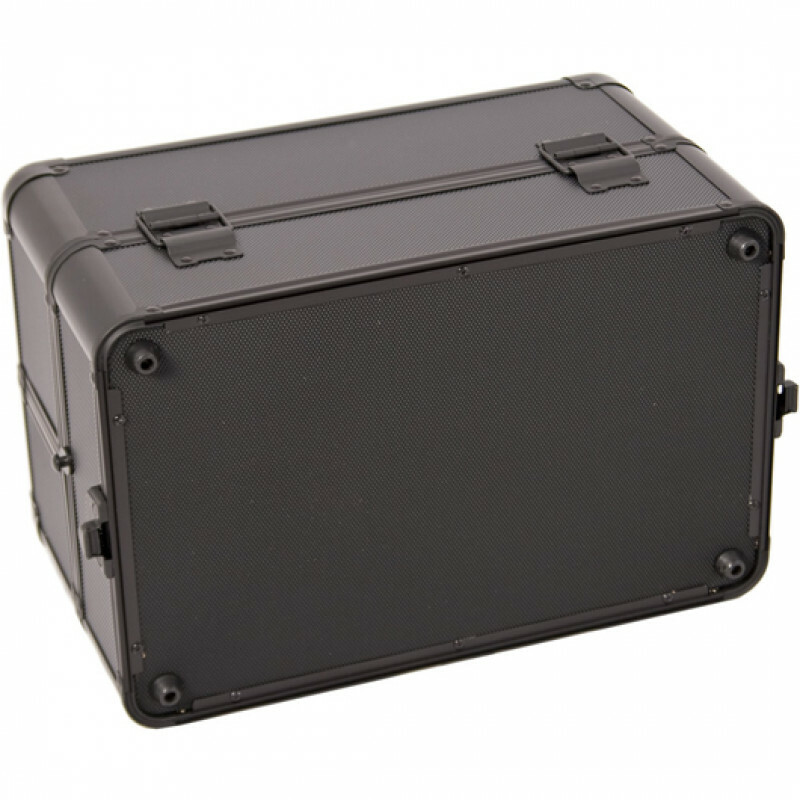 Sunrise's premier makeup storage case. 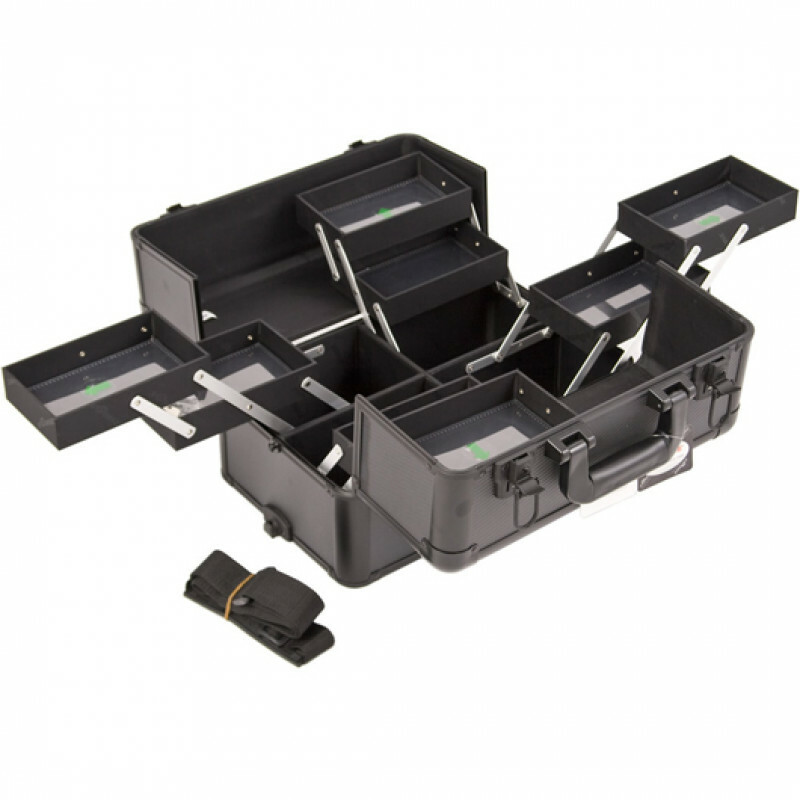 Secure the latches with included lock and key set. Shoulder strap makes carrying a breeze. 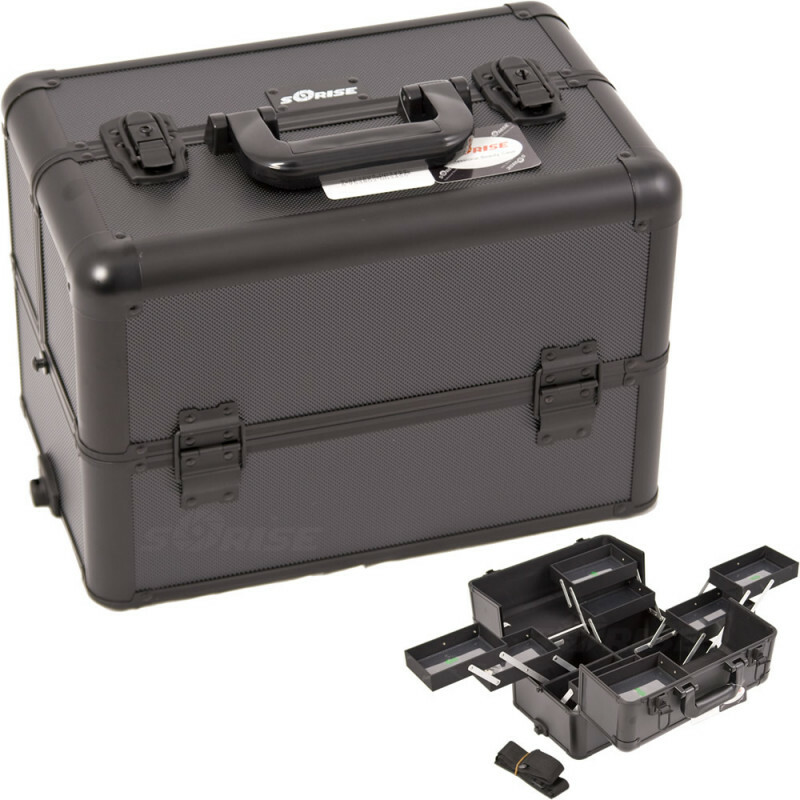 This case can also be attached to any Sunrise E Series Rolling Case. Total Dimensions (LxWxH): 14.5" x 9.5" x 10"